Come and share a special moment with your mom this Mothers Day. 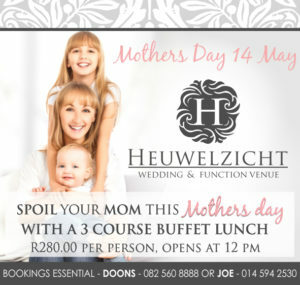 Indulge in a lavish buffet in the tranquil surroundings of the Magaliesberg Hills at Heuwelzicht. Catering will be done by Foodworx.